Lock in a great price for Hotel Pelirocco – rated 8.7 by recent guests! Location good. At least I managed to get in - unlike some hotels in the area there was no evidence of discrimination going on. 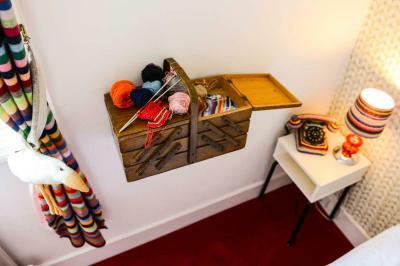 The idea of a hotel which doubles as a museum of popular-cultural artefacts obviously has some appeal, but...decor doesn't define a hotel (or a bar). The rooms were amazing, and the breakfast fantastic - especially the cinnamon toast! 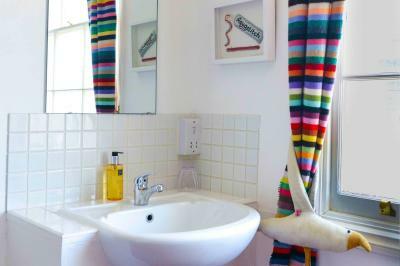 Great & fun decor; each room has a different theme - surely a memorable stay! 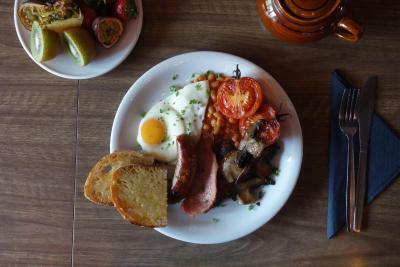 Very central; friendly staff; good breakfast. 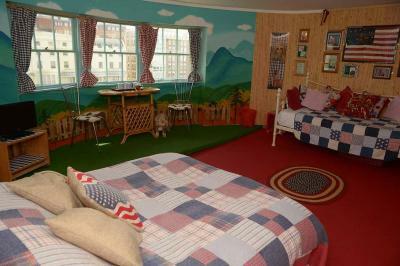 Awesome themed rooms, great breakfast. Stayed here a couple of times and keep coming back. Great location. Fabulous themed room that was comfortable and spacious. Very friendly staff. The hotel is modern and funky with lovely decor throughout. Staff are friendly and helpful and there is plenty of information in reception about things to do, what's on and events etc in Brighton. 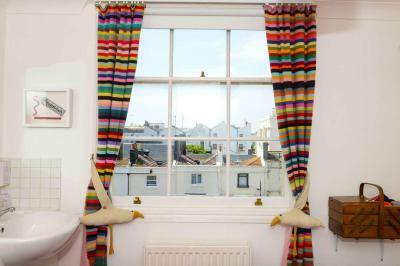 The hotel is a short walk from the centre of town, right across the road from the beach and close to independent shops and cafes under the arches by the beach. On the next street there are many good restaurants including an excellent ramen restaurant. The pictures of the room matched the room perfectly! 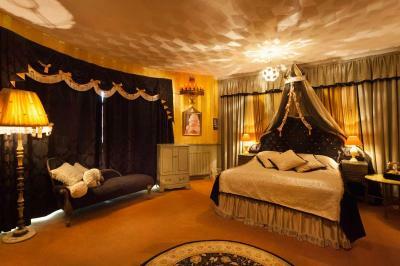 Perfect for a romantic escape this boutique hotel has a wonfderfully risque and shabby chic feel. 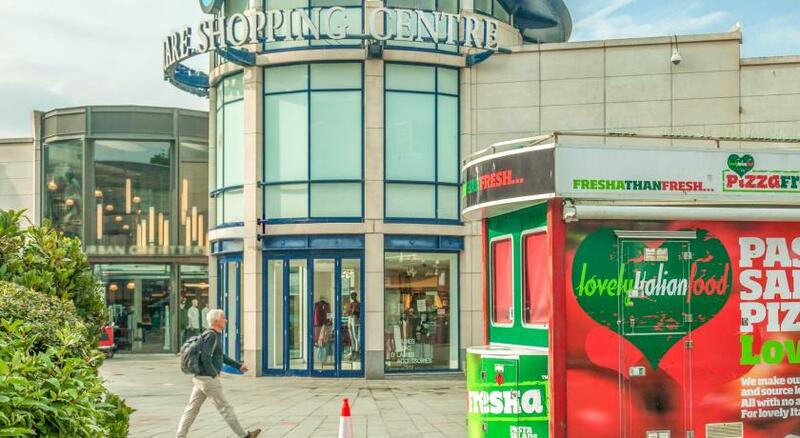 Located near to the Brighton Centre it also holds its own events in its quirky bar. The staff are very friendly and sociable. Breakfast was excellent. Super comfy bed and fun decor. Lovely details like dressing gowns and working record player. Hotel Pelirocco This rating is a reflection of how the property compares to the industry standard when it comes to price, facilities and services available. It's based on a self-evaluation by the property. Use this rating to help choose your stay! 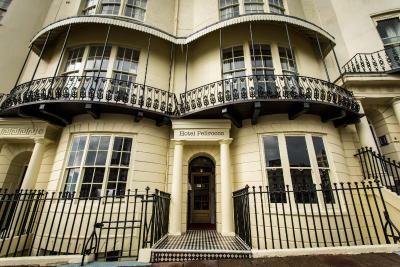 On the seafront in central Brighton, the Pelirocco is a townhouse hotel featuring boutique-style themed rooms with free Wi-Fi. The Playstation Bar serves a varied cocktail list. 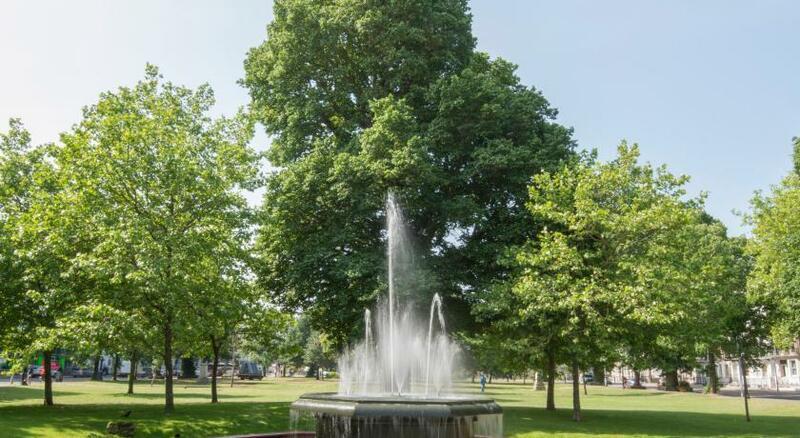 On Regency Square, the Pelirocco is very close to Brighton’s shopping areas, the conference center, and clubs, bars and restaurants. The stylish themed rooms at the Hotel Pelirocco feature a TV and tea/coffee-making facilities. 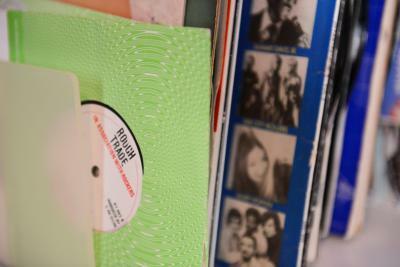 Pelirocco’s rooms are inspired by pop culture, glamour and music. 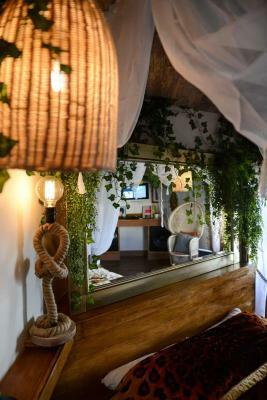 When would you like to stay at Hotel Pelirocco? 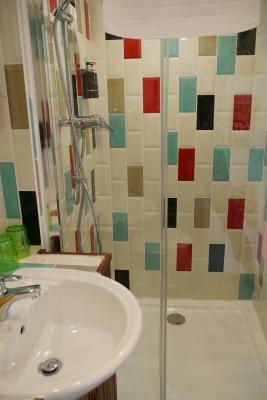 Single bedroom with en-suite shower room. Inspired by reggae record label Pressure Sounds. This room has an private bathroom with a bath and shower. Designed by Brighton based tailor Gresham Blake, this room is styled as a contemporary hunting lodge with wooden floor and tweed fabrics. Please note, this room is located directly above the bar, and as a result guests may experience some noise disruption. 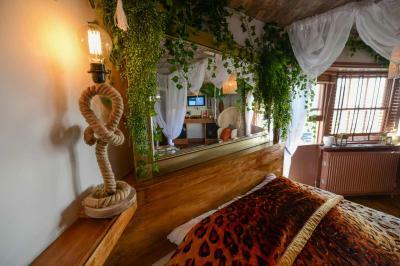 This suite has an 8-foot round bed, mirrored ceiling canopy, and a pole-dancing area. This self-contained suite has a private courtyard and its own street entrance for added privacy. This room is located at the front of the hotel with floor-to-ceiling windows and balcony access. 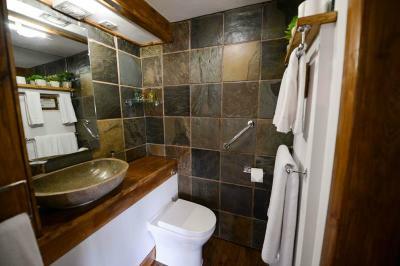 The private bathroom features spa bath with a shower attachment. Please note, this room is located directly above the bar and as a result guests may experience some noise disruption. 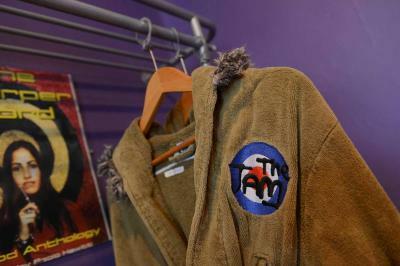 This room is inspired by 1960's Mod Culture and the Quadrophenia Film. The feature bathroom includes a sunken bath. 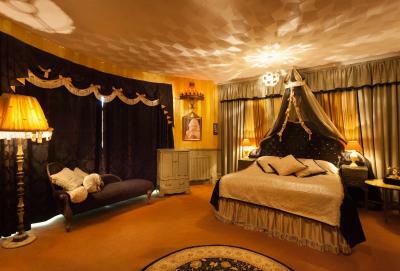 This room is at the front of the hotel and is inspired by England's version of Marilyn Monroe, Diana Dors. There is an en-suite shower room. This room is at the front of the hotel and has an en-suite shower room. 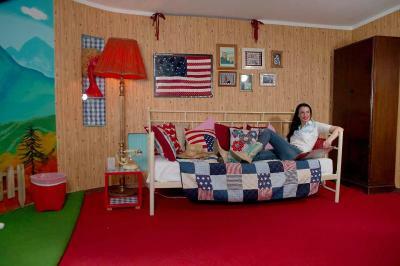 Inspired by rockabilly culture, featuring original 1950's fabric and rockabilly radio and jukebox. 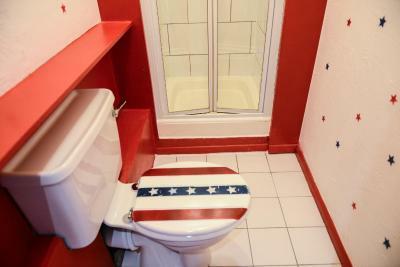 This room has an en-suite shower room and is inspired by Motown legends. This room has an en-suite shower room. There is a vintage theme in the room, styled by Brighton illustrator Emily Dupen of Dupenny Design. Located at the top of the hotel, this bedroom is nestled in the eaves of the building. 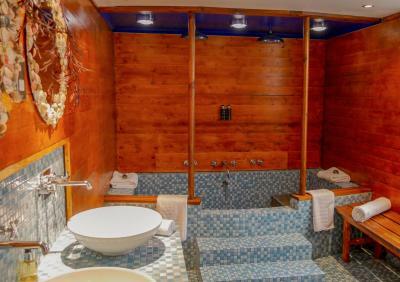 This room is located at the front of the hotel with private bathroom with a bath tub. This room is located at front of the hotel and has an private bathroom. 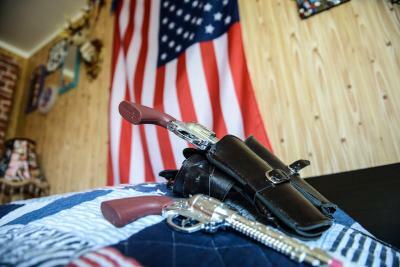 The room includes the adult board-game Nookii, an iron bed and a curtained seating area. 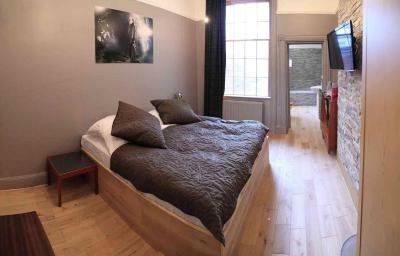 Double room at the front of the hotel with en-suite shower room. 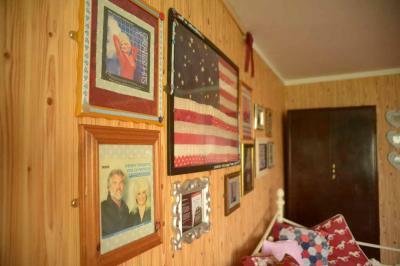 Styled as Dolly Parton's country cabin. 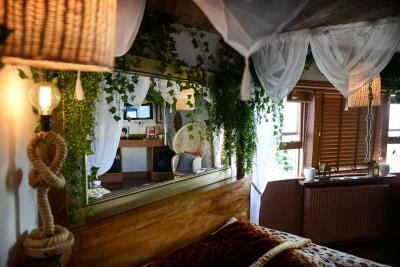 Caribbean themed room at the front of the hotel with en-suite shower room. 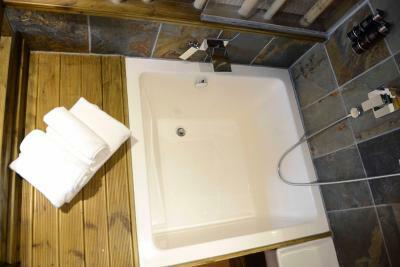 Small double bedroom at the top of the hotel that has an private bathroom with a bath with shower attachment. 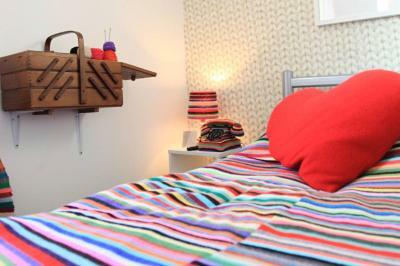 Inspired by fashion icon and performance artist Leigh Bowery, the bedroom is vibrant and colorful. 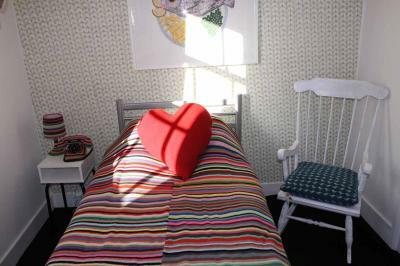 Nestled in the eaves of the hotel this is the smallest double room the property has to offer. Single bedroom with attached bathroom styled as Darth Vader's cabin. 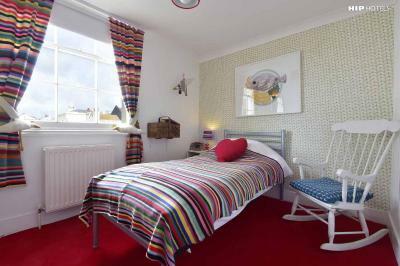 Single bedroom with en-suite shower room, inspired by boxing legend Muhammed Ali. 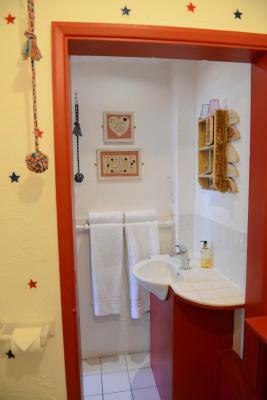 Single bedroom with en-suite shower room. 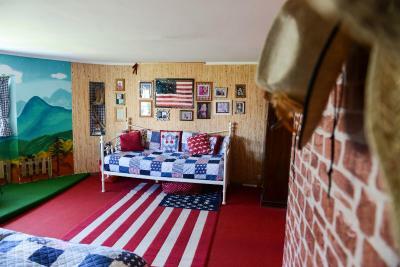 A single bedroom with private bathroom, styled like a rough trade record shop. 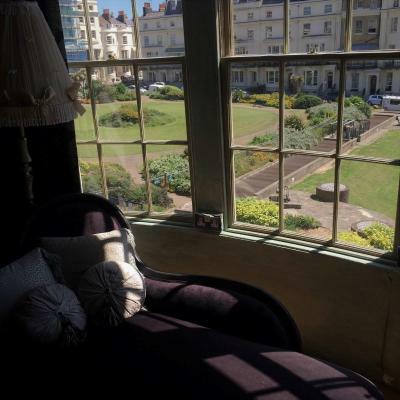 This superior double room has a balcony overlooking Regency Square and the sea. 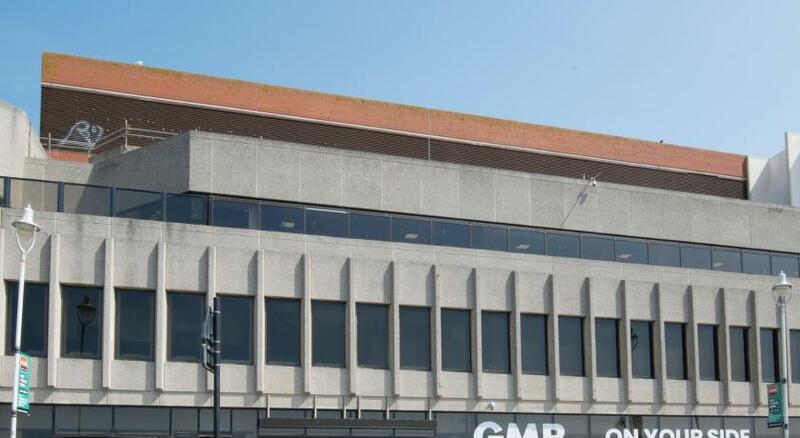 It also has large bay windows. The bathroom has a deep square standing bath with over head rain fall shower. 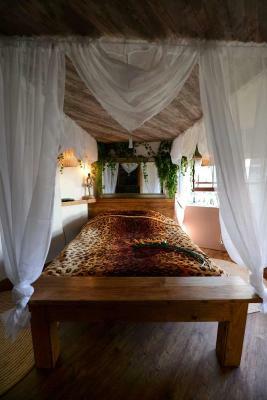 The bed is on a raised bamboo platform, and therefore may not be suitable for guests with mobility issues. Conceived as a saucy seaside stopover , the name Hotel Pelirocco is laced with a taste of rock 'n' roll and glamour. 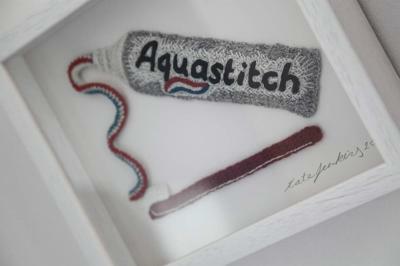 Disguised on the outside as a typically historic regency town-house, on stepping inside seaside signatures like framed saucy postcards, a Punch and Judy reception hatch mix with gallery-style stairwells depicting a who’s who of sub-cultural icons and imagery. Perfectly placed in the heart of Brighton the Pelirocco reflects the towns eccentric melting pot reputation with a collection of bedrooms designed by Brighton indies. 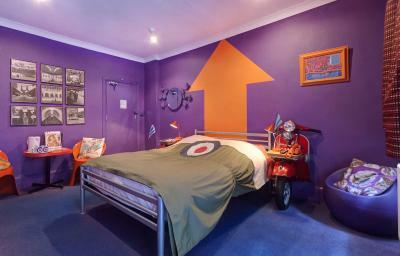 Other bedrooms reflect the best of British subcultures. We welcome guests to enjoy a cocktail in our bar, book into our Singstar karaoke room or take advantage of one of our pop-up restaurant events. We look forward to seeing you! Please be aware the bar is open late at weekends. 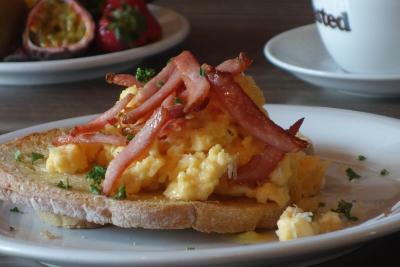 We serve breakfast 8-10am Monday - Friday and 9-11am at weekends and bank holidays. 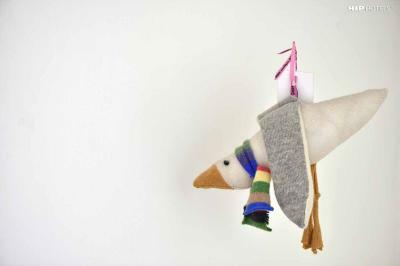 House Rules Hotel Pelirocco takes special requests – add in the next step! Hotel Pelirocco accepts these cards and reserves the right to temporarily hold an amount prior to arrival. Its a very noisy hotel, bring earplugs! The TV didn't work (possibly the remote control just needed new batteries). Green alge at the bottom of the shower patrician. The shower temperature was erratic and hard to stabalise. 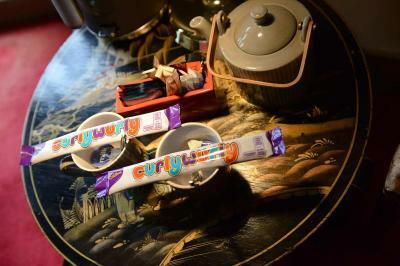 Lovely staff, quirky rock and roll theme makes a change from the usual bland hotel experience and the breakfast is great. very cool. 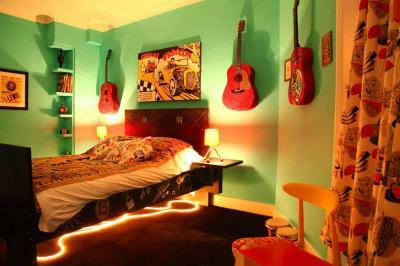 Bordering on DIY as the rooms are so individual but the room finish is very good. The TV control was very dirty. Nice single room. Very friendly and helpful staff. 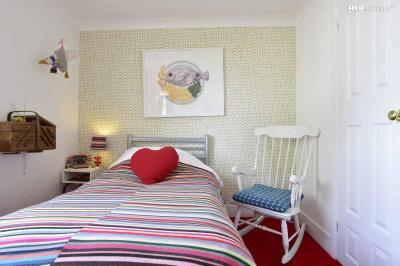 Clean room, unusual quirky decor everywhere _ bit different.